Have you heard about the Hard Rock Roxtars?! This cool band of characters has been designed to inspire kids of all ages to rock their originality! Kids are invited to rock along with band members Razzi™, Sir Kingston™, Styler™, Buddy Jr™, and Skiddley™ at Hard Rock Cafe's "Does Your Child Look Like a Rock Star?" costume contest! You can bring your little rock star dressed in their best costume to a nearby location for the chance to win a Hard Rock Cafe gift card or a 2015 birthday party for eight of the rock star's closest band members and entourage! During your visit to the "Does Your Child Look Like a Rock Start" contest kids get to meet the Hard Rock Roxtars, taste something from the new kid's menu, and see the new merchandise! Also during the night of the contest kids eat free with a paying adult! This contest will be held either the week of the 20th or 27th of October depending on location. Contact your nearby location to find out their exact date! Also, now during visits to the Hard Rock Cafe children are given the VIP treatment! They are greeted with a Hard Rock Roxtars activity book, themed menu, guitar shaped plates, and photo opportunities! The Hard Rock Cafe's new new kid's menu also offers food options based on their Roxtars! Children who stay at Hard Rock Hotel locations are also treated like rock stars! 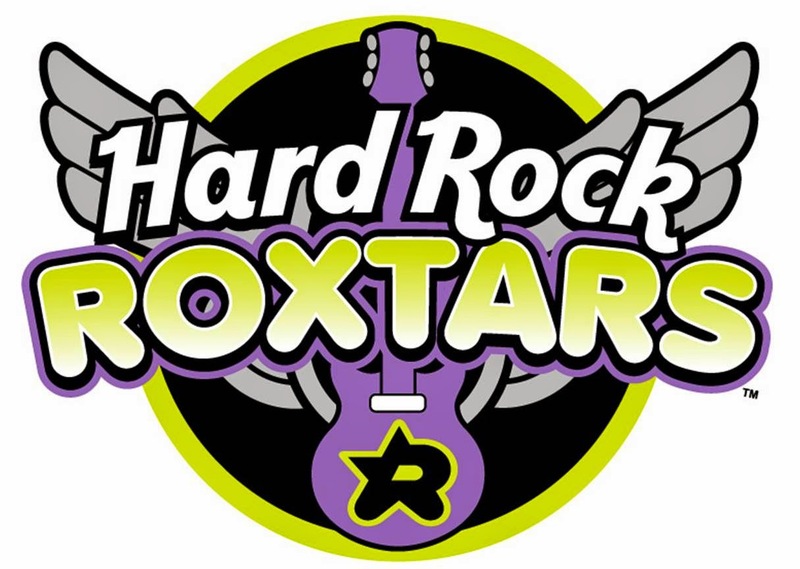 They receive a Roxtars activity book at check in and unlimited entertainment at the Hard Rock Roxity Kids Club which is a family friendly area where kids can catch a live Hard Rock Roxtars performance or take part in music infused activities! Visit Hard Rock's website HERE! Visit Hard Rock Roxtars website HERE! "Like" Hard Rock on Facebook! "Follow" Hard Rock on Twitter!